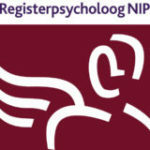 Private psychology practice UNDE is situated in Scheveningen. UNDE, a word derived from Latin, is pronounced as ‘oen-dè. It means ‘where from’ as well as ‘where to’. Therefore UNDE stands for the moment in time in which we are right now. We can have a look back in time to find out how we have come to this point. We can look forward in time to the goals we would like to reach and consider possibilities in order to go on. At the start of a treatment I together with the client will review the reasons for coming. We will investigate what problems created the need for psychological consultation and how these problems are related to the present life of the client (‘where from’). It is at least as important is to find out together, what aim the client has for treatment, which direction they want to go in or would be necessary, and what can be achieved reasonably (‘where to’). The waiting time until the first interview is 1 week (on 17 April 2019).